Sorry about the title for this month's blog but since my return to New Zealand, following the Silicon Dreams show and and my trip to Italy, the Wellington region and the top of New Zealand's South Island has been subjected to a number of severe earthquakes and multiple aftershocks. The most recent, which measured at 6.6 on the Richter scale, occurred while I was dining with friends in the aptly named Duck Creek restaurant. When the earthquake hit we "ducked" for cover under the table. Fortunately, no one was hurt and a bit like James Bond's vodka Martini we were shaken but not stirred. 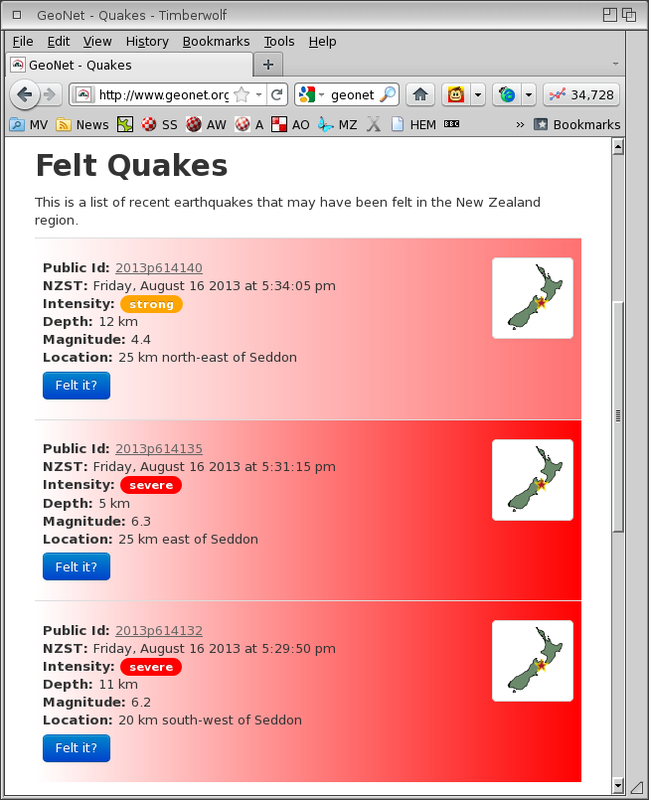 😉 Like many New Zealand resident's I've become addicted to the Geonet website which monitors and tracks all the latest wobbles and shakes. 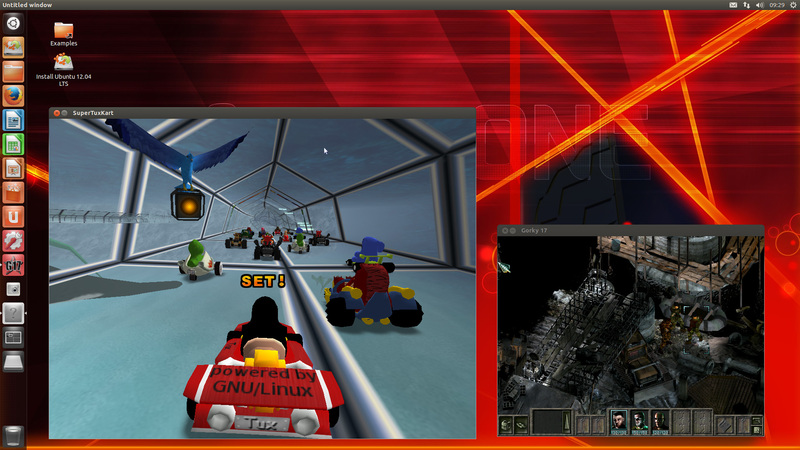 I've attached a screen-grab from the Timberwolf web browser running on my AmigaONE X1000 which I captured after the large quake about week ago. Incidentally, I transferred my AmigaOS System partition, which includes my Timberwolf installation, to a new SSD disk drive. Timberwolf worked fine for me on my AmigaONE X1000 (on an SFS partition) but since moving to the SSD drive (again an SFS partition) it's like a new program. It's now extremely fast, very usable and reliable. It boots to my home page in 3 to 4 seconds. The only issue I have is a Grim Reaper when shutting it down, but since I leave Timberwolf running all the time, I can live with that for the moment. 🙂 As for the earthquake aftershocks, they are continuing but are slightly less frequent. Having caught the Kickstarter bug after sponsoring several developer kits for the Oculus Rift VR headset I decided to support the OUYA Kickstarter project by pre-ordering one of the tiny Android micro-consoles which were available for the princely sum of US$99. Not that OUYA really needed my support, having raised a total of around US$8.5 million to become the second highest earning Kickstarter project to date. After several delays to the original delivery schedule, my package finally turned up in New Zealand while I was travelling around Europe. 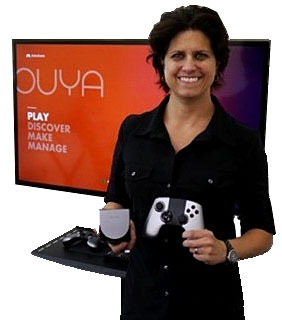 The OUYA project was founded in 2012 by game industry veteran Julie Uhrman. 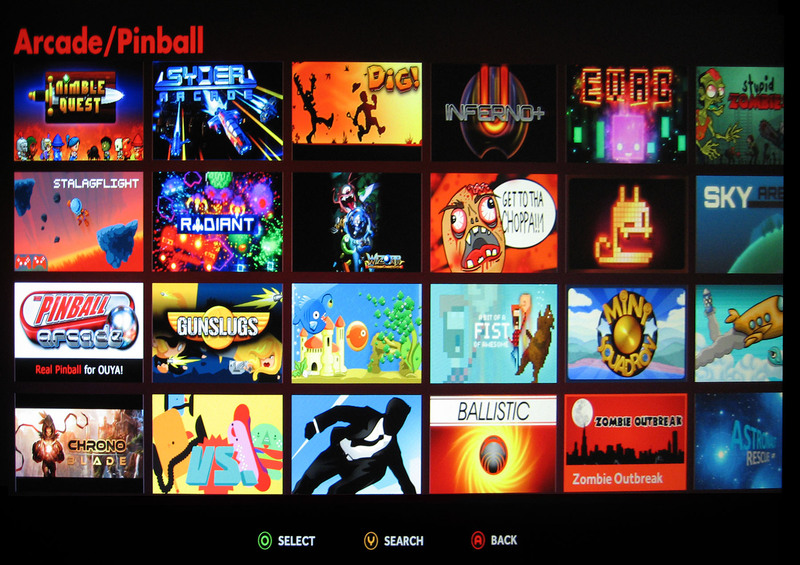 OUYA runs its own version of the Android operating system and is an indie-friendly game playing micro-console which plugs into your TV or Monitor via an HDMI cable and allows you to downloads games from the OUYA store. In essence it's a kind of Steam device for Android with the exception that is allows you to download and try out all the game titles before you commit to the full version. In many ways the marketing concept is very similar to a modern ink-jet printer in that the manufacturer will sell to you a very cheap printer and then recoup its outlay by selling you very high priced replacement ink cartridges. 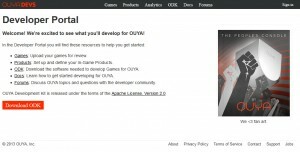 You quickly realise this when you have to enter your credit card details during the initial device set-up just to access the OUYA webstore to check out the free games. 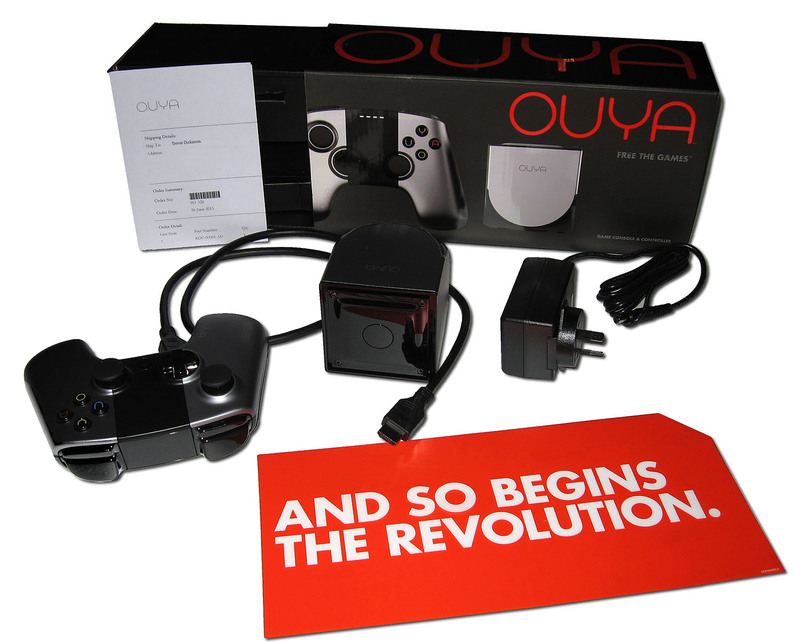 OK perhaps OUYA is not quite like the printer cartridge model. 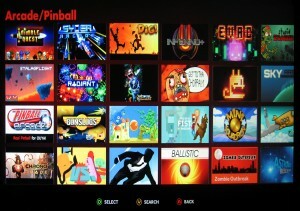 At least you can try out all the games before you decide to buy, and that is currently a problem for the OUYA platform. It seems that most owners are content to play the freemium game offerings but are not willing to shell out their hard earned cash to upgrade for the full version. In July Uhrman revealed that 73% of owners had not paid for any games. Even at a paid conversion rate of only 27% for all games downloaded that number is very high when compared to Smartphone games. However, OUYA game developers aren't exactly making much money at the moment. The top paid game TowerFall, was downloaded 2,000 times in the first month, generating $21K for its developers after OUYA's commission. While Hidden in Plain Sight sold 1,900 copies generating $4.4K in revenue. However, Knightmare Tower, made by Juicy Beast, was downloaded 49,000 times, but only 2,100 gamers went on to actually purchase the game netting about $6K for its developers. Wind-Up Knight, which was downloaded 15,000 times made less that $1K with just 150 gamers opting to pay for the full version. OUYA realise this is a problem and are keen to encourage exclusive game development for the platform. It has established a $1M Free the Games Funds which will match donations on Kickstarter between $50,000 and $250,000 for developers who commit to making their games exclusive to its console for at least six months. 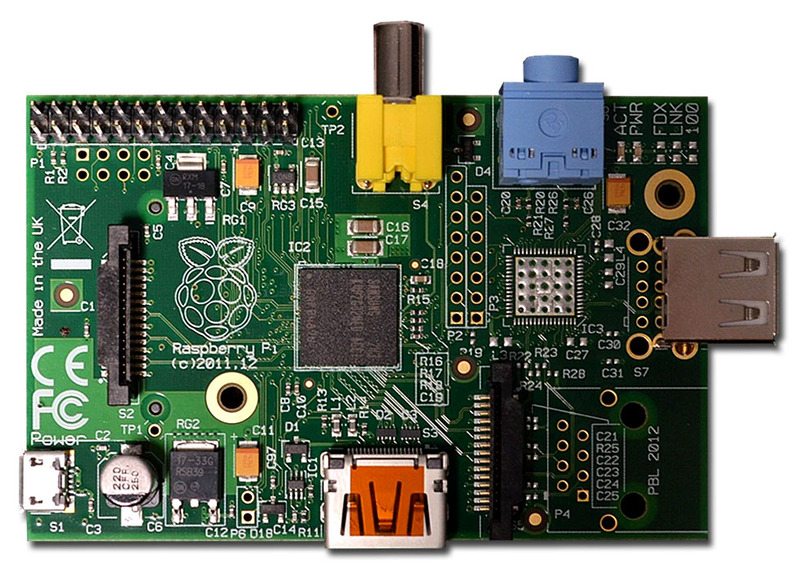 If you don't know what a Raspberry Pi is, (have you been living in a cave? ;-)) it's a very low cost, credit-card sized ARM-based single board computer that plugs into a TV or Monitor that was developed specifically for the educational market to teach children about programming. The developers claim the device is powerful enough to be used for many of the tasks that a desktop PC carries out including word-processing, playing games and high-definition video. At the recent Silicon Dreams show I talked with an engineer who was using a Raspberry Pi in a home security system which his business developed and sold. He had originally used some Windows CE based x86 hardware attached to a special touch screen. The build cost for the system was around £750 for the combined package. However, he had replaced the x86 hardware and Windows CE licence with a Raspberry Pi running Linux. 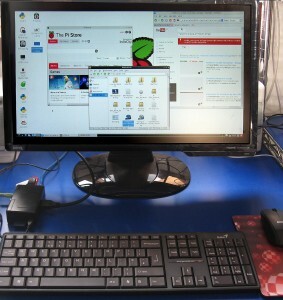 The total build cost, including the touch screen, had reduced to ~£170. He claimed the Pi system, as well as being cheaper, had so far proved reliable and had more features that the x86 hardware it had replaced. Even better he did not have to reduce the sales price for the security system. This is were my story becomes less enthusiastic. 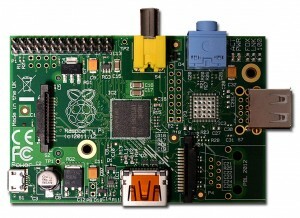 Even though the Pi has been widely adopted by hardware enthusiasts and hobbyists, its primarily aim is to teach today's kids the basics of computer programming. 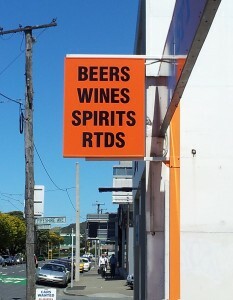 However, booting into Raspbarian is not exactly a stimulating experience. 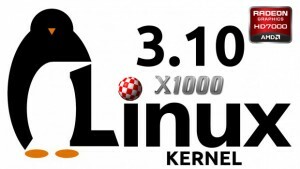 If you have used any modern Linux desktop distribution, in many respects Raspbarian is like stepping back into a Linux experience of yesterday. OK no problem, it not supposed to be about fancy desktops and graphics but about getting kids excited about computers and programming without the need for expensive hardware. However, I soon discovered that many things do not work or at least are not supported out-of-the-box. Audio does not work, neither does YouTube video and there is no means to play 1080 videos either even though that feature is supposedly supported. Of course this could just be due to the version of Raspbarian supplied with my machine? 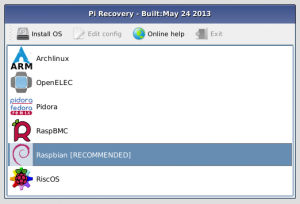 Raspbarian also shows up the Pi's lack of CPU horsepower so be prepared for an underwhelming Linux experience. 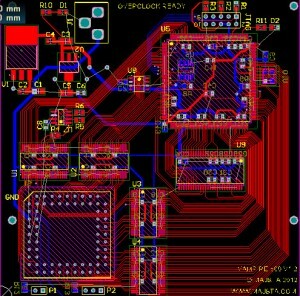 In addition, several commentators have criticised the use of the closed source Broadcom ARM CPU which requires strict NDA's. Not exactly the best approach if you want to learn about CPU architecture? 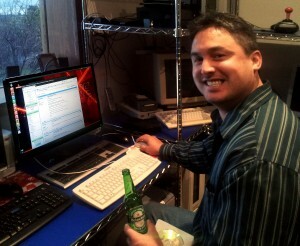 Recently I was visited by AmigaOS 4 & A1-X1000 beta tester David Aiau who was in Wellington for a few days with his wife. David hard at work testing the Live DVD! When it comes to all things Amigan, David is probably as obsessed as I am and we had an enjoyable time discussing our mutual passion. 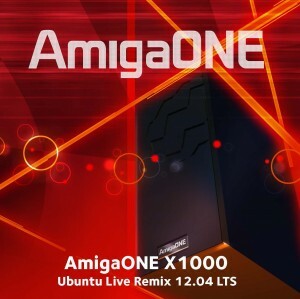 I gave him a quick tour of my Amiga domain and demonstrated the latest version of the Ubuntu Live Remix 12.04 LTS for the AmigaONE X1000. 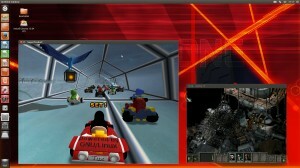 The Live DVD is about to go gold and will contain the customised version of SuperTuxKart along with a demo of Hyperion Entertainment's Gorky 17 game. 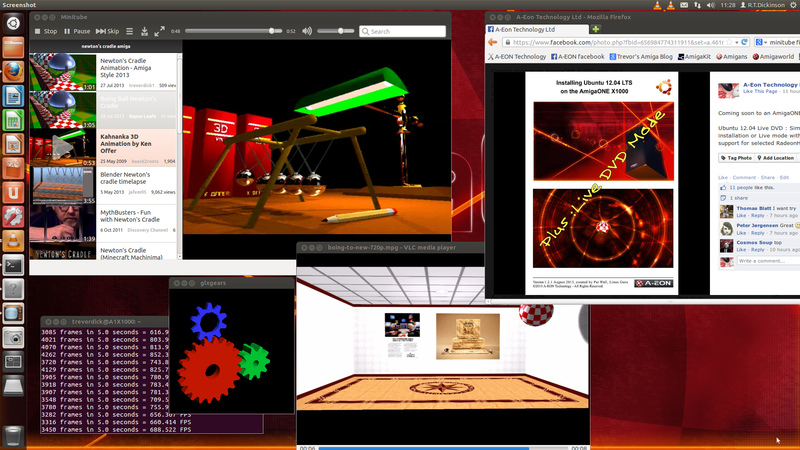 The Ubuntu Live Remix has a number of other cool features which include full 2D/3D hardware acceleration with selected RadeonHD graphics cards; the ability to play 1080 videos and YouTube video clips. Firefox and Libre Office are included on the disk along with the GIMP image editor and the Scribus desktop publishing program. The VLC media player, MoviePlayer and Minitube are also included together with a whole host of other software and utilities. 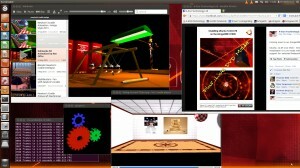 In the ultimate Live DVD demo, we played an online YouTube video in Minitube and the Boing Ball animation video in VLC with the glxgears 3D demo running while browsing the web with Firefox, all from the Live DVD. The command can be also saved as a boot menu item so it does not have to be entered every time. Booting from the Live DVD is obviously slower that booting from a hard drive installation, but once up and running you can access all of the installed programs the DVD has to offer. However, you can also install Ubuntu from the DVD should you wish to create a permanent installation on your hard drive. The Ubuntu Live Remix was created by Pat Wall, our Linux distro guru, with the A1-X1000 kernel supplied by Darren Stevens. Amiga graphic artist Kevin Saunders also created several unique desktop backdrops to complement the Live DVD as well as designing the CD cover art. The Ubuntu Live Remix DVD together with a digital download version will be available on the new A-EON app store in the near future. Meanwhile German Amiga enthusiast and AmigaONE X1000 “First Contact” owner Christian Zigotzky has joined the A-EON Technology Linux support team. If you follow my blog you may recall I posted information about the Vampire 600, a new FPGA accelerator for the Amiga 600 being developed by Igor Majstorovi. Well I'm pleased to report that Igor is now taking pre-orders and at the last count had received over 80 registrations. In fact he has received so much interest in the Vampire 600 that he has temporarily suspended work on the A500 variant to take care of all the pre-orders. The Vampire 600 is priced at 90 Euro plus shipping and for this you get an FPGA emulated MC68000 or MC68010 or partially emulated MC68020 running in excess of 6Mips and support for 64MB of Fast RAM with 32MB autoconfig (at the moment). If you want to place a pre-order or just find out more information about the project please visits his website. Microsoft is again involved in a restrictive practice dispute and once again it claims it is the injured party. Apparently Google has blocked Windows phone user's from watching video's with its YouTube app, citing violations of its terms of service, because Microsoft has failed to write the code in HTML5 as stipulated by Google. Microsoft claim that the issues are "manufactured" by Google who do not apply the same requirement to their own platform. It claims Google is deliberately raising false barriers to restrict the growth of Windows Smartphone which currently has about 5% of the world market. 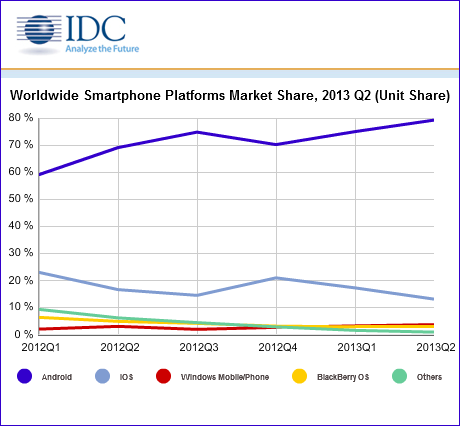 Meanwhile Android phones continue to dominate the Smartphone market with almost 80% of all units sold worldwide. Even Apple's share has dropped to under 15%. Who would have thought? 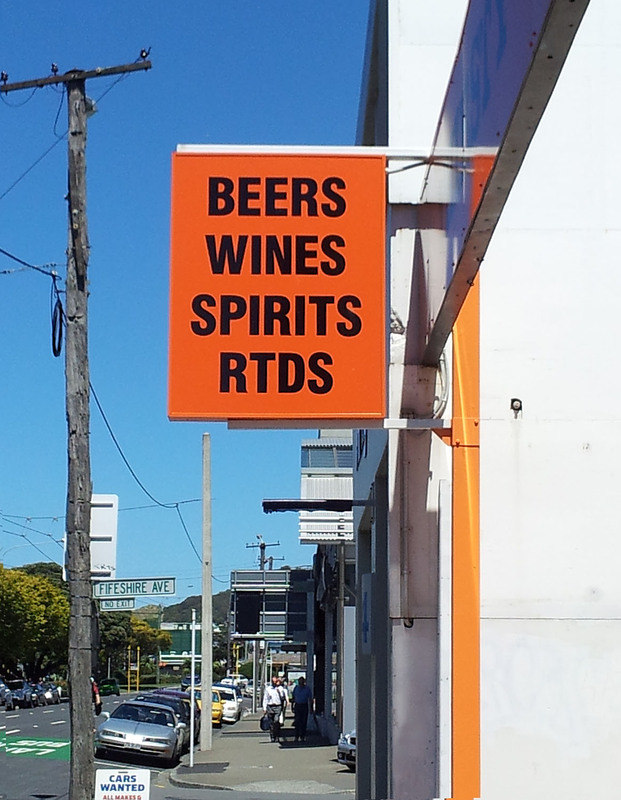 For the uninitiated, of which I was one, RTD means premixed Ready To Drink and not Robert Trevor Dickinson! 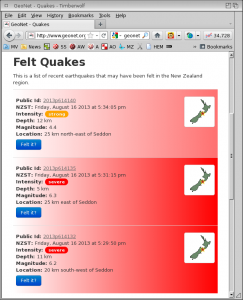 Update: 3.7 aftershock just as I posted this blog!